Published: Jan. 10, 2018 at 02:30 p.m. Updated: Jan. 12, 2018 at 10:45 a.m.
Todd Gurley has had quite the career in Hollywood. Seriously, his first three years of his NFL life have been like a movie trilogy. He absolutely crushed the first one, which demanded a sequel. Of course, that sequel flopped harder than CHIPs (which I wanted to like so much). But that third one. That third one really brought home the money. To be honest, I was trying to think of a movie trilogy that would actually fit this analogy. And before you even think of slandering Ocean's 12, I'm going to ask you to excuse yourself right now. Maybe it was the Hangover franchise? I don't know. I just know a lot of folks were burned by Gurley's second season in the league (the actual NFL, not the TV show) and were afraid to jump on board this season. And that is understandable. We all have a host of players we'll never draft again because they have burned you in the past. I'm guessing Julio Jones is on a lot of people's list like that now. But anybody who had faith in Gurley was rewarded with not only the RB1 of fantasy football but the guy who had the most fantasy points from Weeks 14-16 in all of fantasy history. Like when you needed him the most, he didn't let you down. In any event, let's take a look at some of the biggest draft bargains from the coming year and what we can expect from them next season. I walked out of a draft with bookend draft picks Mike Evans and A.J. Green and thought I was going to run away with the league. I came in 10th. And I just knew Hopkins was going to be the man this season. I just liked the other guys more. But damn, what a pick Hopkins was. I was able to play him for a few weeks with Deshaun Watson and fantasy football had never been more enjoyable. I think at some point in his career, we will look back at DeAndre's 2016 season and wonder what the hell happened before we remember Brock Osweiler was a thing. Kind of like the way we look back at Rebecca Black. I will say, I'm rather bullish on Hopkins. He might be my top PPR pick for 2018. Don't alert @coldtakesexposed yet, but I'm considering it. Ingram didn't last until the eighth round in our NFL Network fantasy league like his ADP suggests (and yes, I'm going to be that bag who has to say this every time), but people continued to underestimate Ingram heading into this season. Here are some of the luminaries who went ahead of him -- Isaiah Crowell (LOL). Frank Gore (really?). Bilal Powell (stop playing fantasy). Ingram rushed for 1,124 yards and finished with 12 touchdowns. Only one behind the leader, Gurley. I also think that 90 percent of his touchdowns came after Michael Thomas was tackled inside the five, or had his touchdown reversed and the ball was placed on the 1-yard line. But he did score them. If we can real talk this a little bit, let's talk about Ingram and Alvin Kamara. These guys work great as a tag team. They are better because of each other. They are like the NFL's version of the Uso Brothers. Much better as a tag team than in singles competition. And by everyone, I mean my esteemed colleague Matt Harmon, who knows (deity) damn everything. But I loved Duke this year. Obviously, his worth comes in PPR leagues where he finished as the RB11, he outscored guys like Jordan Howard, Devonta Freeman and Ezekiel Elliott. Sure, the latter had a six-game suspension. Don't try to ruin my narrative. He finished with double-digit points every week from Weeks 10-17, save a disastrous Week 13. Hey, everyone has bad weeks. Duke had 74 receptions. Seven total touchdowns. And he should be much better with a new coach this season. What's that? Ah crap. But still, as the RB31 in drafts, I think this one worked out. I'm jumping in again next season. I got some push-back with Thielen headed into drafts. A lot of people were all-in on Stefon Diggs. For good reason. Actually, in our NFL Network Fantasy League I grabbed Diggs in the fifth and wasn't afraid to swing back around for Thielen in the seventh. He was consistently great for most of the season. Of course, after a nice Week 14 performance, he faded in the final two weeks of the playoffs. And yeah, not being able to put up the points against the Packers certainly hurts. But he's clearly somebody who is going to rise in drafts next season. The guy you wish you drafted, but didn't and he ended up doing well: Marvin Jones Jr. He was the WR39 in drafts this year. And still, I didn't have a single share of him this season and that was a big mistake. Jones started hot last year, and kind of got swallowed up by a renewed focus from defensive coordinators. But this season, he was able to put together some solid weeks. 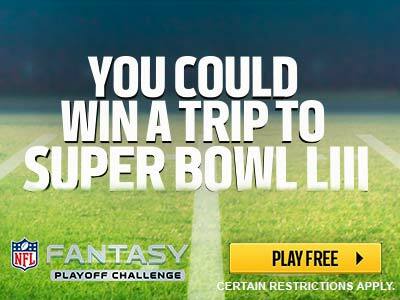 Again, another tepid playoff push kind of left some fantasy managers salty. But ultimately, he was a pretty good bargain who no doubt carried you for a few weeks. The Lions will have a new coach (or already hired one when you've read this), so it will be interesting to see what the future holds in Detroit. But he's earned a high draft position in 2018 drafts. Kamara was drafted as the RB45. And I feel like a lot of people at least took fliers on him because he was pretty good in the preseason. Unfortunately, when the season opened, the Saints were going through this phase where they thought Adrian Peterson was going to be a thing. Spoiler alert: he wasn't. It was like really bad. And I imagine a lot of you dropped him. Which would then make him one of the top waiver wire adds. However, I did draft him in my League of Record and held on to him. Thankfully. He got me all the way to the finals. Where I then failed. But still, he got me there. He finished as the RB5 in standard and the RB3 in PPR. He would be my first RB off the board. And I know a lot of you would be all, but Mark Ingram! And then I'd be all, he did this (expletive) with Ingram there last year. Don't make me use that Uso example again. Because I'll do it. You know that I will. Loved this pick coming into the draft. Came off the boards as the WR50. He started off slowly, but quickly became one of Josh McCown's most trusted targets. He had an amazing stretch in the middle of the season, and then, you know, some unpleasantness happened in the fantasy playoffs. But again, I feel like most people drafted him super late, used him during the bye weeks. And then used discretion in the fantasy playoffs. And realistically, he could be a nice add next season, too. If the Jets start McCown once again. The team could draft a quarterback and shove him into the mix, which could be troubling. But no matter, Anderson has made his mark in the NFL. Now, in full disclosure, I drafted Rex Burkhead in just about every league I participated in. And I still won't concede that it was a busted pick. He got hurt and it cost him. But he was good when he was available. (Editor's note: Don't bother, he's stopped listening). The smart pick would have been Lewis, who absolutely beasted through the finals. I know a lot of people just like to say, "Patriots running backs LOOLZ" and be done with it. The Patriots have been rather predictable with their running backs over the last two seasons when you include LeGarrette Blount. You need to get over your fear of them. Or don't, you can just leave them for me. Of the two defenses I actually drafted this year, the Jags were like my MVP for most of the season. The Rams were really good, too. Make sure you follow where Vic Fangio and Gus Bradley end up this year. Coordinators matter. Well, in the case of the Rams they sure did. The Jags were just something extraordinary.